UK-based, Jamaican activist and writer, Vernal Scott, firmly stated his disdain in regard to the inhumane treatment LGBTQIA+ persons receive in Jamaica, exclaiming that the country’s “willingness to continue to embrace colonial discrimination is a disgrace”. To us all, he challenged we must each write to our MPs and insist that oppressive, imperialist views are abolished. “We need to be the driver in the car for change”, added Scott. Get involved in the coalition – email actuplondonfighttilltheend@gmail.com to be added to the mailing list. Come meet us all this coming Saturday at our next action ‘Peckham Pride’ this Saturday, February 20th at 12 noon and there is also ‘Safe Haven – Should Britain do more to help LGBTQI Refugees?’ this Thursday organised by UKLGIG and friends. QUEER STRIKE – Grassroots, multi-racial, lesbian bi, trans, queer women’s group campaigning for our economic, legal and human rights. Thank you to everyone involved and everyone confronting LGBTQI criminalisation and the HIV+ pandemic everywhere! Previous Post ARE U REAAAADDDYYYYYY?! 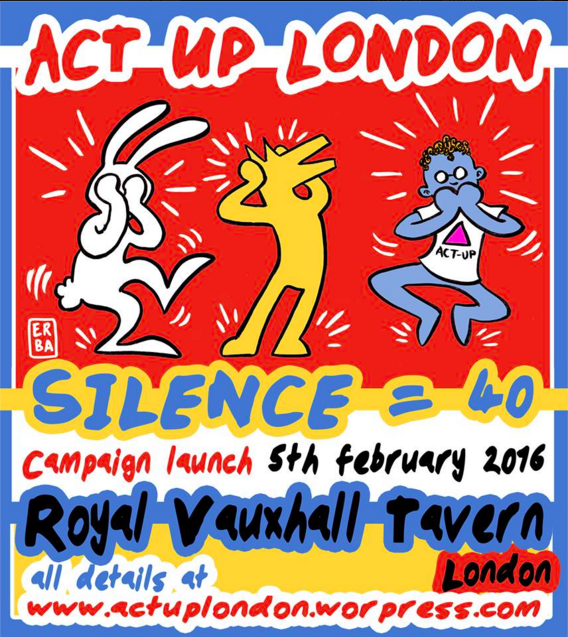 ACT UP LONDON & THE GLORY Present – ‘Gladiators’ – HIV Valentines Special. 11.02.16.